A-Access Lock & Key is a verified Matthews Locksmith. We are based in Charlotte, but if you give us a call at 704-545-5410, our team will arrive in Matthews ASAP! Getting locked out of your home or car can be one of the most frustrating experiences in life. You will get frustrated not only because you can’t enter your home, office, or car and resume your activities, but also because you realize how careless you were. However, you don’t have to chastise yourself too long over this matter when an Expert Locksmith like A-Access can resolve your problem. Matthews is one of our favorite places to go. Even as new construction springs up all around them, the neighboring town of Matthews, North Carolina retains its small-town personality. It offers a sense of community, excellent public schools, and historic roots. Keeping pace with development in the area, the limits of Matthews in Mecklenburg County now encompass 17 square miles. Matthews’ population has grown to more than 29,000, and its town limits now encompass 17 square miles. There are hotels, restaurants, shopping centers, recreational facilities, and a hospital. But what Matthews is known and loved for is its history and its festivals. Early settlers in the 19th century called the place ‘Stumptown’ due to the many tree stumps that were present. The name was later changed to ‘Fullwood’ not because it was full of wood, but after the postmaster James Miles Fullwood. As the cotton, and timber industries grew and a sawmill was constructed, Fullwood transformed into a town. Before the first train arrived in the area December 15, 1874, Fullwood was used as a stagecoach stop for people traversing from Charlotte to Monroe and vice-versa. It wasn’t until 1879 that the city ditched tree-related names for good and was known as ‘Matthews’. It was still named after a prominent resident (Edward Watson Matthews). Edward Matthews was also the Director of the Central Carolina Railroad, later known as the Seaboard Airline Railroad. In 1996, the National Register of Historic Places listed 10 downtown buildings in Matthews. Known as the Matthews Commercial District, they comprise a small but remarkably intact collection of structures dating from the late 19th to the early 20th century. ‘Matthews Alive!’ is the annual Labor Day extravaganza with a parade, rides, crafts, food, and live music. BeachFest Matthews in Stumptown Park draws huge crowds every May. To enjoy all these grand events, you need to be free of irritation. Before you even find yourself in the middle of a frustrating situation like a lockout, it is best to find a verified and affordable Locksmith that you can trust now. A-Access Lock & Key is what you are looking for. We are the right Matthews NC Locksmith and our Expert Locksmith can access any lock and key for residences, homes, and vehicles. Our top-tier Locksmiths can also get keys made, undertake car key replacement, install locks to increase your security, or reprogram vehicle responder keys. A-Access Lock & Key can do all these things for you and more We don’t offer a 24-hour service, but we are available from Monday to Friday, from 8 – 6 and on Saturdays from 9 – 3. We provide mobile services, which means that we will send a verified Locksmith over to you, wherever you are in Matthews. After you go sightseeing and exploring in the Matthews area, you’ll probably have an appetite. Right around the Green, you have no shortage of options. There’s Beantown Tavern, Carolina Beer Temple, Dilworth Coffee, and the Black Chicken Wine Seller. Or, you can head on to Downtown Matthews, which is full of all kinds of places to eat. Why not try out Ming Fu Chinese & Sushi, Sante, Kristopher’s Sports Bar, or Royal Cafe and Creperie? There’s also Thai Taste, El Valle Mexican Restaurant, Taco & Tequila Cantina Grill, and last but not least, Moe’s Original Bar B Que. Matthews has an artsy vibe, with lots of public art, a calendar full of family-friendly festivals and the McDowell Arts Center, which hosts gallery shows, classes, and programs. Launched in 1991, the town’s thriving, year-round farmers market is the oldest in the area and requires that vendors sell only goods that are grown or created within 50 miles, with fish and seafood being the only exceptions. Go out and enjoy and leave your property safety to us. If you are worried about entrusting the security of your residence, commercial establishment or vehicle to virtual strangers, we understand that. That’s why we want to give you a lot of reasons to trust us. Each one of our Matthews NC Locksmiths is verified, trained, and licensed, so we can assure you that each technician knows what he is doing. Have fun at Matthews. In addition to the big festivals, Matthews hosts its Summer Concert & Movie Series every year and recently started a Food Truck Friday at Stumptown Park. In summer, the nine-acre park in the heart of the town presents family-friendly events, alternating between a free concert and a movie under the stars each week. Excitement galore! A-Access Lock & Key provides convenience and quality Locksmith services for anyone in Matthews. Just check with the local Better Business Bureau and you will see our A+ rating. We always make sure to send out an verified and affordable Locksmith with ample training and experience to fix your issues and maintain our good rep. In addition, we also received the 2013 Super Service Award and an A+ rating from Angie’s List. This further proves just how committed we are in providing quality service and each of our Expert Locksmiths knows that. A-Access Lock & Key has been in the business of unlocking locks and keys, getting new keys made for homes and offices, performing car key replacement, and improving the security of homes, commercial establishments, and vehicles for more than two decades. Trust A-Access Lock & Key. We are the key to your security! If you live in Matthews and require services of a verified and Expert Locksmith, call us at 704-545-5410 now. Are you a Licensed Locksmith in Matthews, North Carolina? Charlotte, Indian Trail, Mint Hill, Pineville, Huntersville, Weddington, Waxhaw, Monroe, Stallings, Hemby Bridge, Wesley Chapel, Harrisburg, Concord, and Fort Mill. 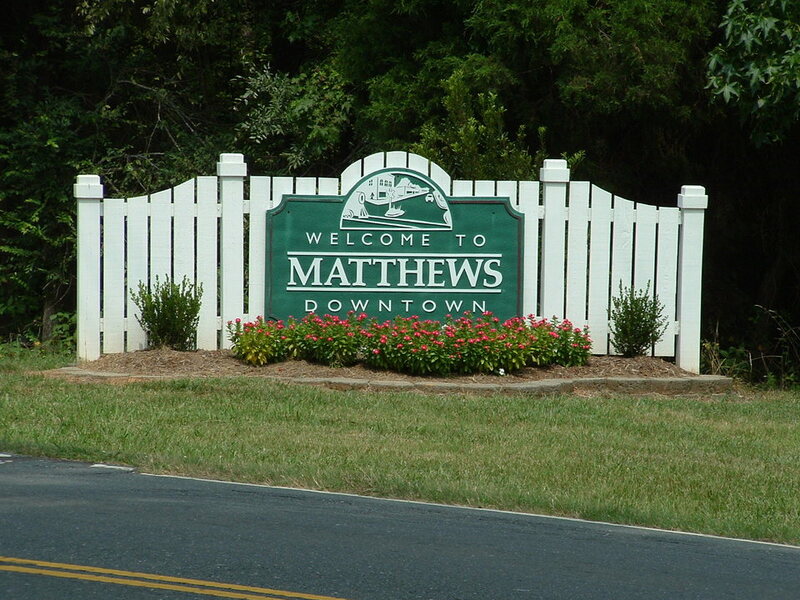 What ZIP codes of Matthews do you service? Always have more than one key, whether it’s for your car, home, or office. Having a spare key can save a lot of time and money in the long run!